This special package of one day and two nights offered by the Tri-Bikram Yoga retreat allows the participants to marvel at the beauty of the Himalayas and refresh their minds through Yoga. The sunrise hiking will culminate at a lovely viewpoint which will provide a glorious view of some high Himalayan peaks like Annapurna and Dhaulagiri turning red with the colours of the rising sun. This spot is one of the best viewpoints in Nepal and after the sunrise participants will be taken through a session of Yoga on the spot. There will be breakfast session in this wonderful location after the Yoga practices and then the participants will then head back through the centre at the end of the sunrise hike. The rest of the day will be passed in the beautiful ambience of the yoga centre and the afternoon will include a relaxing Ayurvedic massage for the participants. This Yoga holiday will conclude with an evening session of post-dinner meditation which will be a special experience. 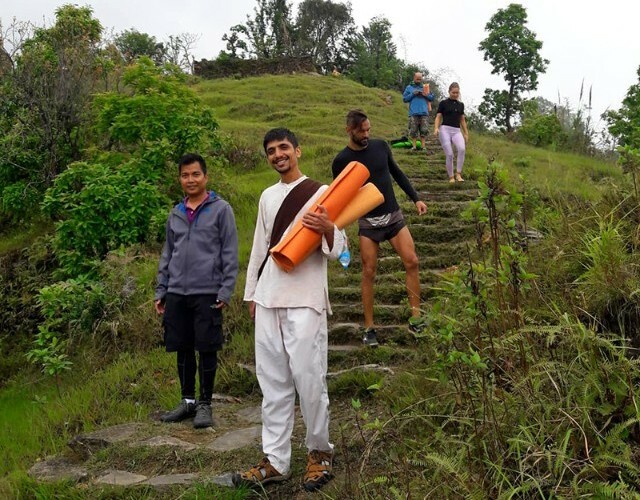 This program combines Yoga and trekking in the beautiful hill station of Sarankot in Pokhara making it an enriching experience for the participants on all levels. The experience of practicing yoga in the majestic Himalayan setting will be a lifetime memory for the participants. The Yoga retreat is located in the beautiful surroundings of Pokhara in Nepal. 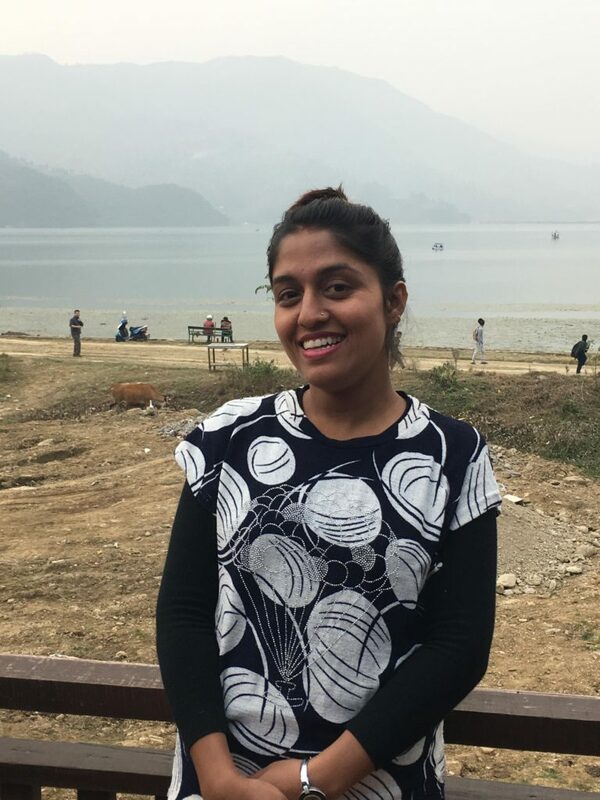 The beautiful Pokhara lake and the towering peaks of the Himalayas lends a special flavour to this Hatha Yoga training centre. The environment and the setting is supremely beneficial for yoga practitioners and ideal for experiencing deep stages of meditation. The ancient practice of Hatha yoga is imparted with great care and devotion highlighting the basics and the traditions of the practices. This Yoga retreat was established by PK who was inclined towards the spiritual philosophies since his childhood. 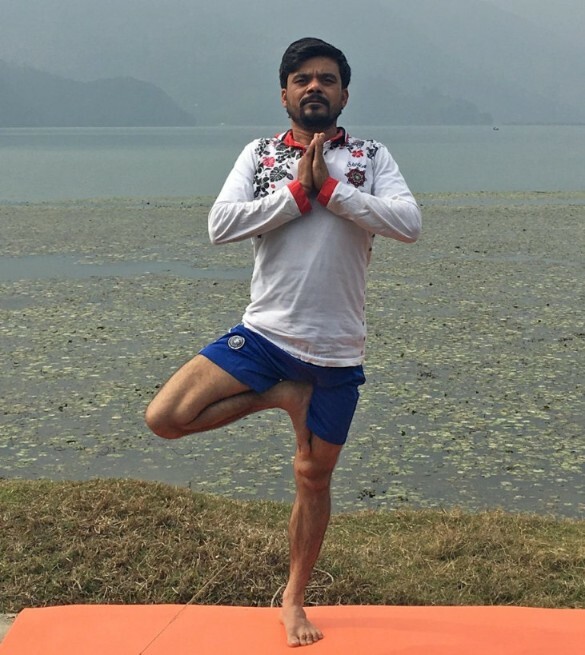 He pursued his interests in the field of Hatha yoga and became a certified teacher and also a qualified Ayurveda practitioner. With many years of experience as a teacher behind him, he set up this Yoga retreat Nepal and is assisted by his wife Srijana. She is an expert practitioner of Ayurvedic massages and loves to cook up delicious vegetable dishes for the visitors. Each guest is treated as a part of their family and every care is taken to provide a memorable experience of this meditation retreat to them. A typical day starts at sunrise with an early morning hiking activity through the beautiful valleys of Sarangkot. These are followed by daily sessions of Yoga and meditation that recharge the body with new energy and vigor. Each day in this Yoga Retreat is packed with activities that provide the visitors with a true taste of the yogic lifestyle. The food offered here is purely vegetarian that helps enhance the practices. For tourists on a trip to Nepal and looking to try out yoga in Pokhara, this centre offers a rejuvenating experience of Hatha yoga and meditation in a perfect setting. The Centre provides comfortable accommodation arrangements for the guests who attend Hatha yoga courses. 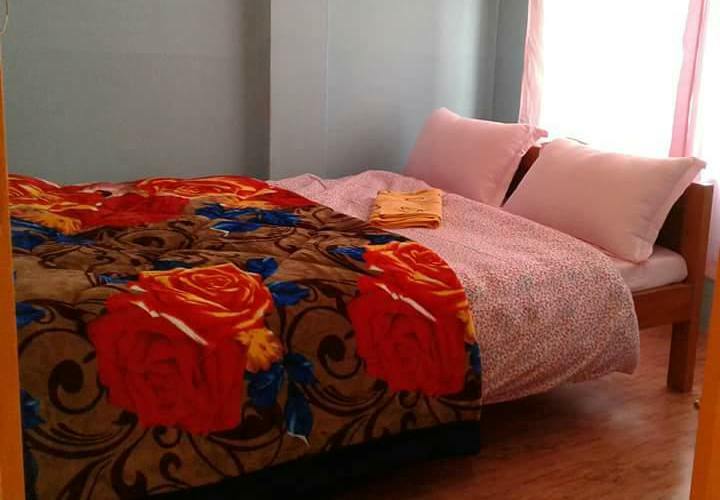 The accommodation options include basic rooms with non-attached baths and standard rooms with attached baths. The visitors can also choose between shared and private accommodation options. Wi-Fi facilities are available for free. The atmosphere is serene and calm, allowing the visitors to enjoy the beauty of the Himalayas in a comfortable setup.